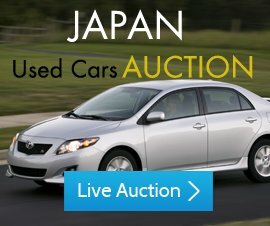 You can purchase any vehicles from G-7. Crown Trading Co. Ltd of your choice or search for a vehicle you would like to purchase from our stock. Once you find a vehicle, please check its details and photos. As you approve the price and condition of the vehicles, request an invoice, it is easy and simple .Input your details and we will e-mail you an invoice. If you decide to purchase, contact us so that we can reserve the vehicle for you before someone else buy it. Complete the payment by Bank Telegraphic Transfer, from any bank. After you have completed the payment please send us a copy of Telegraphic Transfer copy as proof of payment. When the payments confirmed, we will e-mail you a confirmation. After receiving the full payment we will immediately begin the export arrangements for the first vessel available. We will send the documents to you or your agent by DHL courier a few days after the vessel leaves Japan. (We make sure you receive the documents before the ship arrives your country). Once you receive the documents, you can begin arranging collection and registration in your country of the vehicle. A clearing agent can help you to complete the procedure and give you an indication on the fee and taxes to be paid. Complete the procedures and enjoy your New Vehicle.